What does a Pediatric Orthopedist do? 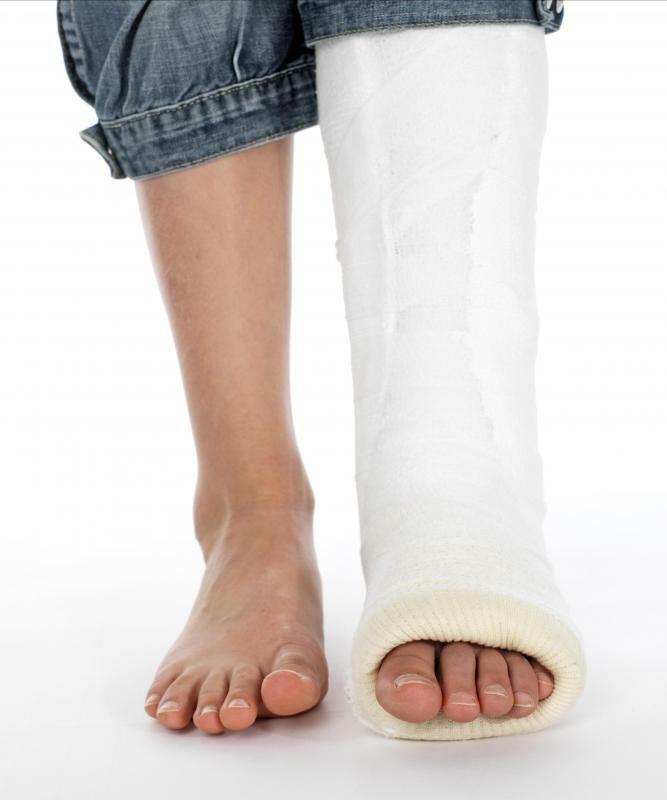 A pediatric orthopedist may diagnose and care for young patients with broken bones. Pediatric orthopedists who work primarily as surgeons may do so from a children's hospital. A pediatric orthopedist is a medical doctor who provides care to the entire musculoskeletal system of a child. Commonly, this type of doctor is referred to as an orthopedic doctor or an orthopedic surgeon. Even with the varying titles, the duties of an orthopedist are generally the same. Doctors in this medical field are professionally trained to accurately diagnose and treat varying degrees of injuries and diseases of the bones, joints, ligaments, muscles and tendons. The duties of a pediatric orthopedist can be numerous, as he or she may spend work days treating injuries as common as a sprained ankle to performing complex surgical operations. The physical build of adults and children is very different. This difference may be most drastically noticed in the bones. Children's bones are constantly changing and evolving, which generally makes them more sensitive. For this reason, children are typically more prone to injuring their bones than adults. Of the most common childhood injuries are sprains, strains and fractures, all of which may call for a visit to a pediatric orthopedist for an evaluation. Although they are often confused, sprains and strains are two completely different types of injuries. A sprain refers to an injury of an ligament. On the other hand, a strain is an injury to a tendon or muscle. Due to their rough and often unpredictable play, these are two of the most common injuries in children. Generally, a pediatric orthopedist will spend a great deal of his or her time treating children with these types of injuries. Fractures are also common injuries in children. A fracture occurs when there is a break in a bone. Often, typical child play may result in a hard shove or fall, which could cause a bone to fracture. If a parent suspects that his or her child has suffered this type of injury, an appointment may immediately be made with a pediatric orthopedist for a proper diagnosis and treatment. The doctor will typically send the child for X-rays to confirm the injury and may prescribe a cast to immobilize the area as treatment. Orthopedic surgeries may be amongst the most demanding parts of being a pediatric orthopedist. Some children with particularly complex bone diseases may require surgery as the only alternative for treatment. Pediatric orthopedists who work primarily as surgeons may do so from a children's hospital. In most cases, the doctor will visit the patient daily while he or she is in the hospital and will follow up after release with an in-office visit. To serve patients on an outpatient basis, doctors in this genre of medicine may work out of a private office or within a group practice. 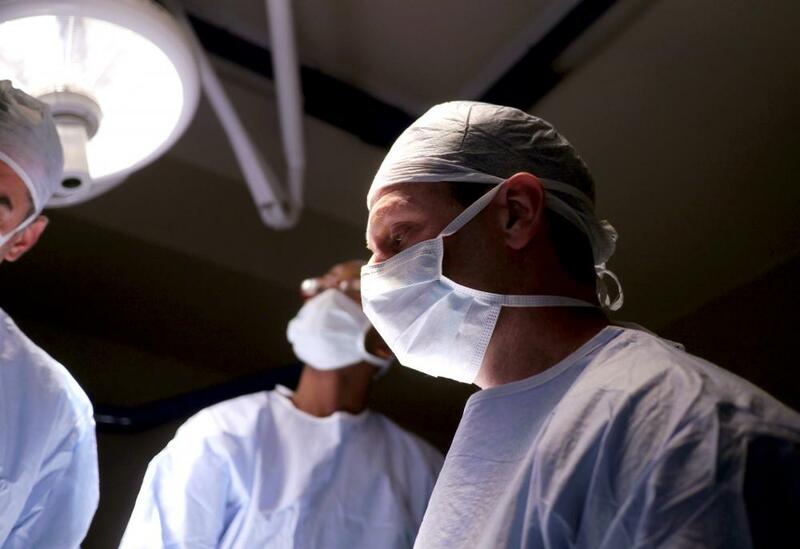 How do I Become an Orthopedic Physician? What does a Pediatric Orthopedic Surgeon do? How do I Become a Pediatric Hospitalist? What is a Pediatric Nebulizer Mask? What does a Pediatric Surgeon do?